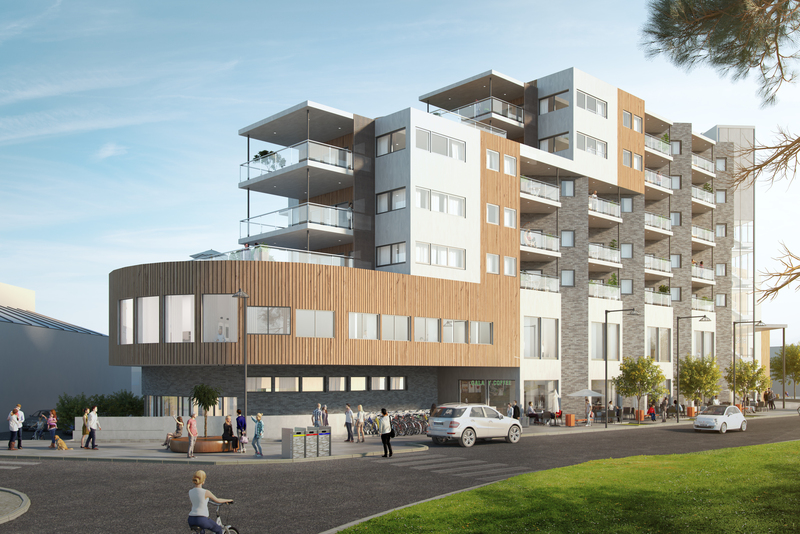 Peab has been commissioned to build apartments and commercial space in Årnes, northeast of Oslo. The customer is Årnes Kvartalet AS and the contract is worth NOK 176 million. The project is called Årneskvartalet and consists of two floors of commercial space and five floors containing a total of 52 apartments. The project is a turnkey contract and construction will begin in December 2018. Occupation is planned for 2020.